Balanced audio cables utilize impedance balanced lines that reduce EM and RF noise and extend the effective range of the cable run. 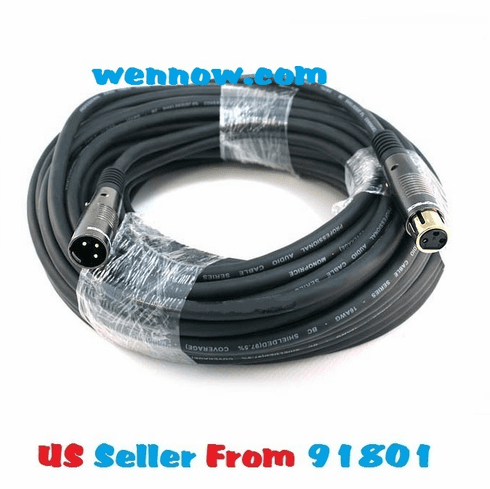 Additionally, unlike standard unbalanced RCA interconnects that utilizes their braid as a signal return, balanced cables have a separate braided shield to provide additional resistance to interference without modulating the interference into the signal. This prevents ground loop issues. Our XLR male to female cables continue our tradition of bringing the highest quality cables at the best prices. These cables feature thick, heavy gauge wires, gold plated connectors and sturdy connector housings.